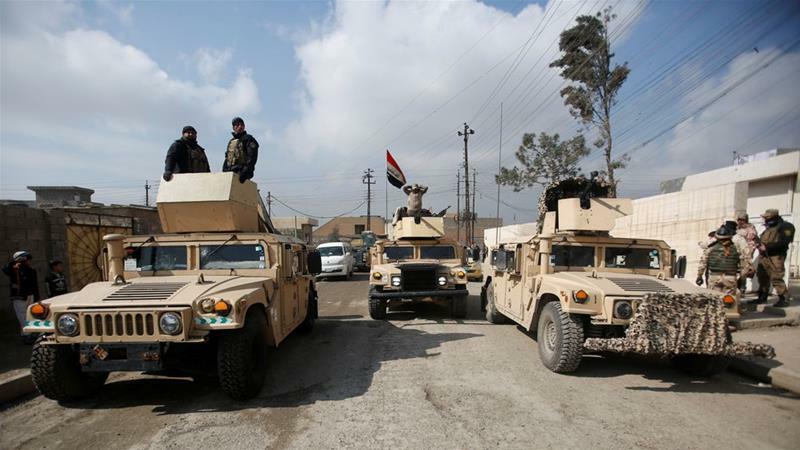 The operation to retake Iraq’s second city of Mosul from the Islamic State entered its crucial phase on Sunday, following Iraqi Prime Minister Haider Al Abadi’s announcement of the “new dawn” with the “main mission is to liberate civilians before the land”. The move on the western part of Mosul — the area east of the Euphrates River was secured last month — includes the Iraqi army, Federal police, elite counter-terrorism units, and rapid response troops. The US and Iraqi air forces are carrying out strikes, and American special forces are discreetly embedded with some of the forces. Moving from the south, the offensive seized small villages on Sunday. Yesterday, Iraqi officials announced the capture of Abu Sayf, overlooking the international airport and the city. Ghizlani military camp, where ISIS carried out executions, is also now under Iraqi control. However, the assault — whose next objective is likely to be the airport — is likely to face tougher challenges, with an estimated 80,000 civilians in western Mosul in critical humanitarian conditions amid allegations that ISIS are using them as human shields. With very narrow streets restricting the movement of vehicles, fighting could be house-by-house. And all the while, the Islamic State will be using suicide bombs — including the possible deployment of them via remotely-controlled drones — and a network of tunnels. Despite the prospect of a long, tough fight, a sense of optimism is spreading among Iraqi forces and many Iraqi people that the liberation of Mosul is not far away. Expectations that the effort to retake eastern Mosul would end with dire consequences have been met with the eventual success of operations. Unlike offensives against other ISIS-held cities such as Ramadi, infrastructure was almost kept intact. Normal life returned for many as schools, shops, and restaurants were reopened after the area was declared to be freed in late January. Social media campaigns by young Iraqi activists have pushed back sectarian barriers and called for national unity. A campaign to donate books for the University of Mosul’s central library — home to valuable publications and rare manuscripts before it was destroyed by ISIS — has fostered engagement across Iraq. Military victory will be significant for both Iraq’s security forces and its people, but it will not close the chapter of the ongoing unrest left by two legacies: that of the US-led invasion of 2003, particularly as far as the electoral system and the national army are concerned, and that of multi-level corruption inflicted by a political elite that has failed throughout the last decade with its lack of a clear vision of what Iraqi people need, and its inability to stand up against regional and international interventions. To deal with these two legacies, the liberation of Mosul could be a turning point for Iraq — a turning point that has to be seized by Iraqi people, especially intellectuals, academics, and civil society groups and individuals. They must unite their efforts and press for a significant change up to the highest levels of political, military, economic, judicial, and educational institutions. Social media campaigns and efforts to show solidarity during hard times are a good starting point, but they need more influential steps. The Islamic State has only been one of the symptoms of a prolonged political failure. If the cause is not treated, even in defeat it will leave a legacy of cyclic corruption, oppression, political and social divisions, and conflict.